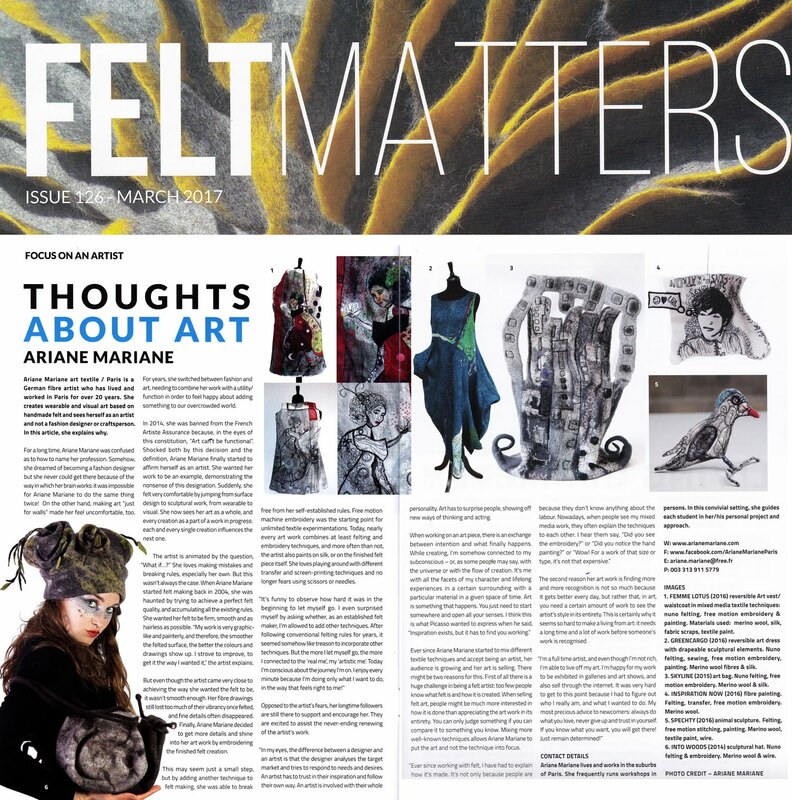 Ariane Mariane - art textile feutre / Paris: Terumi Ohta – "True Style Lab ." 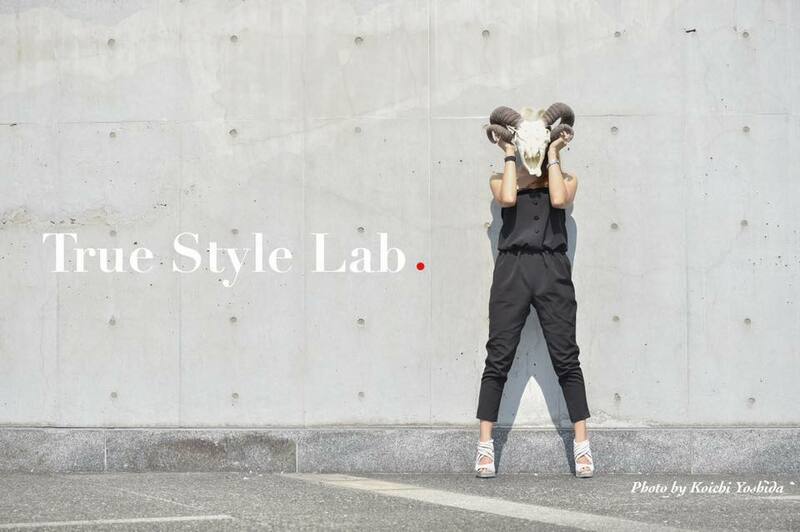 Terumi Ohta – "True Style Lab ." 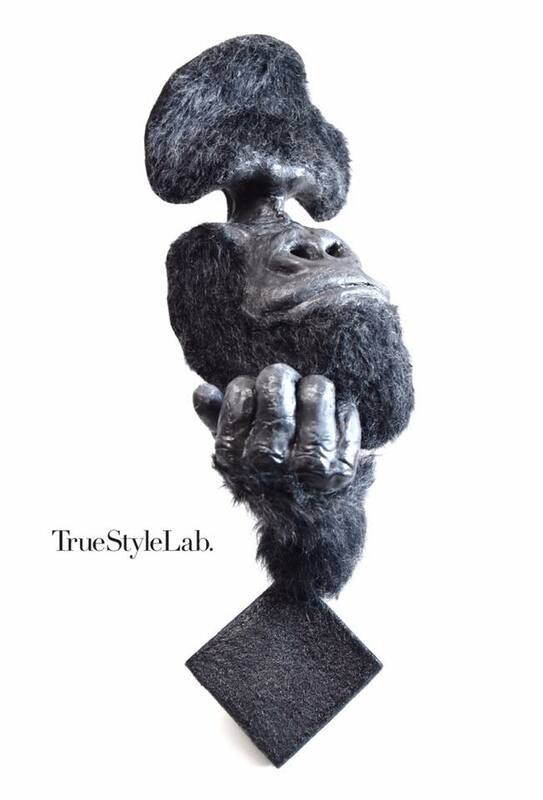 Terumi Ohta for "True Style Lab." 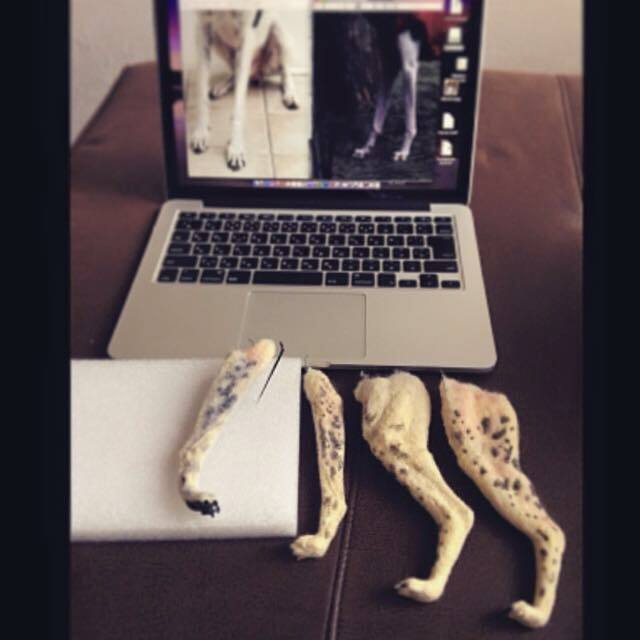 This week ”Feltworkers experience N° 1” is happy to introduce felt artiste Terumi Ohta to you. 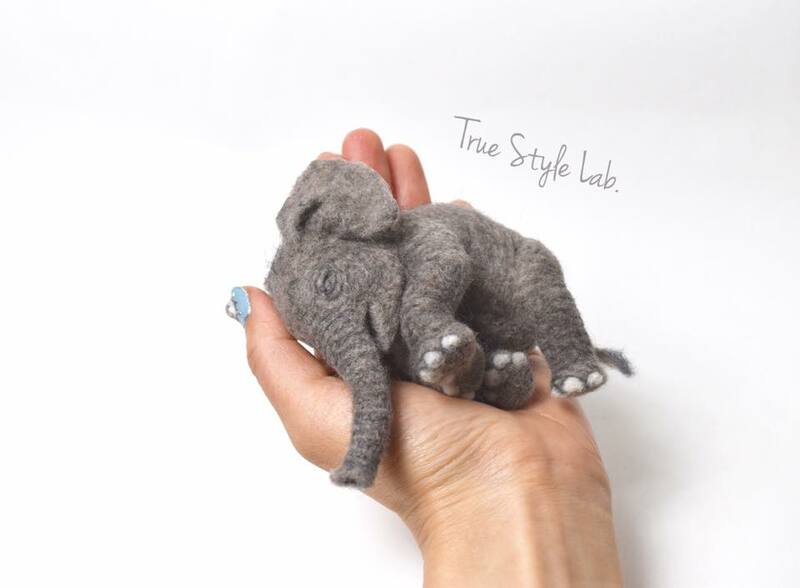 Terumi Ohta is a Japenese felt artiste and owner of the felt label “True Style Lab.” Born in Hokkaido (most northern part of Japan), she grew up surrounded by nature, flowers and animals. Her interests in drawing began in this part of the world, at a very early age. Instead of going to an art school, Terumi decided to move to London where she study the European style of fresh and preserved flower arrangement. She also became a specialist of the traditional Japanese flower arrangements: Ikebana Sogetsu Style. In 2011 Terumi discovered needle felting and quickly it became her passion and it took over her love to flower arrangement. She decided to give this passion a go and in 2013 created her brand “ True Style Lab”. 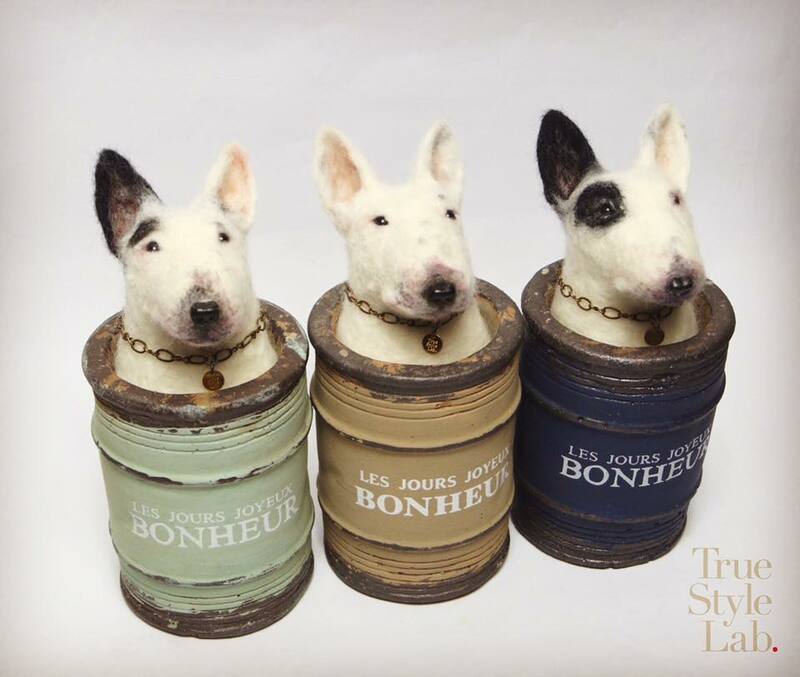 Already in her former drawings, her goal was to do realist drawing and this style greatly influenced her needle felting work. Terumi’s felt art is meticulous to the smallest detail, with photographic likeness of the portrayed objects and models. All week long you’ll find another of her beautiful felt animals on our FB page each day. Please feel free to like and share.